Palm last night announced the winners of their PDK Hot Apps contest, where developers would be rewarded with cold hard cash for apps that top the charts. 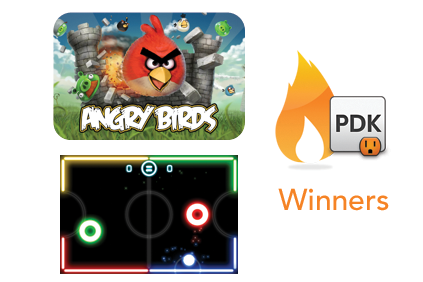 No surprise that Rovio’s Angry Birds was the winner of the paid apps portion of the contest. As for the free apps, Natenai Ariyatrakool’s Glow Hockey was also a big winner. Both will receive $100,000. The prizes don’t end there. There were 30 winners of $10,000 and 100 winners received a $1,000 store credit at HP.com or an HP ENVY 17. You can view the full list here. The titles listed above are the best sellers, so if you haven’t checked them out, give them a whirl. Let us know in the comments if you have a favorite.